A while back I wrote about cafes and bakeries offering gluten-free food in Copenhagen but I realise that people who need gluten-free food also need it to cook with it on an everyday basis and finding that food can feel like a challenge. It is estimated that between 50,000 and 100,000 people in Denmark suffer from a sensitivity to gluten and for a small country that seems a lot. 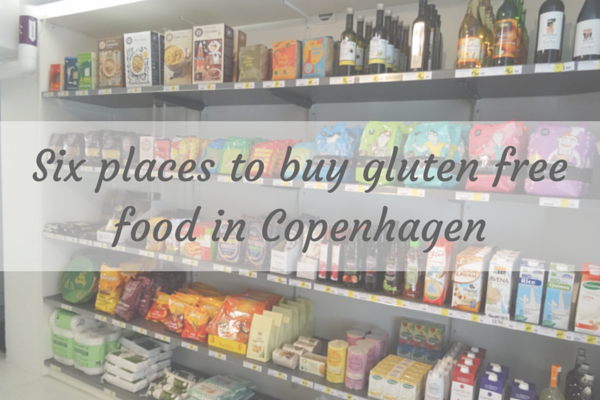 I asked a friend who needs to eats gluten-free about the kind of foods she buys regularly and also the foods that are the holy grail of gluten-free eating and below are the places in Copenhagen that meet these needs. For reference there is no specific logo to look out for but most suitable products are marked Gluten Free (in English) or Glutenfri (in Danish). All of these places offer crackers, baking mixes, flour, porridge oats and breakfast cereals, pasta, biscuits and bread so I have mentioned other items. 1 Astrid Och Aporna – this is a new shop opened on Christians Winthers Vej, Frederiksberg that sells organic, vegan and gluten-free foods. There is a wide selection of the usual foods but also a big selection of dressings and mayonnaise. They will soon be stocking gluten-free breadcrumbs and other products If you are looking for lactose free, vegan, organic or other specialist foods including ready-made salads, this is the place for you. Astrid Och Aporna is a Swedish brand and you can see more of their own brand products here. 2 Urtehuset – there are three physical shops (Østerbro, Frederiksberg and Lyngby) and an online shop offering a selection of gluten-free foods. They sell gluten-free remoulade and baking powder as well as the products above. 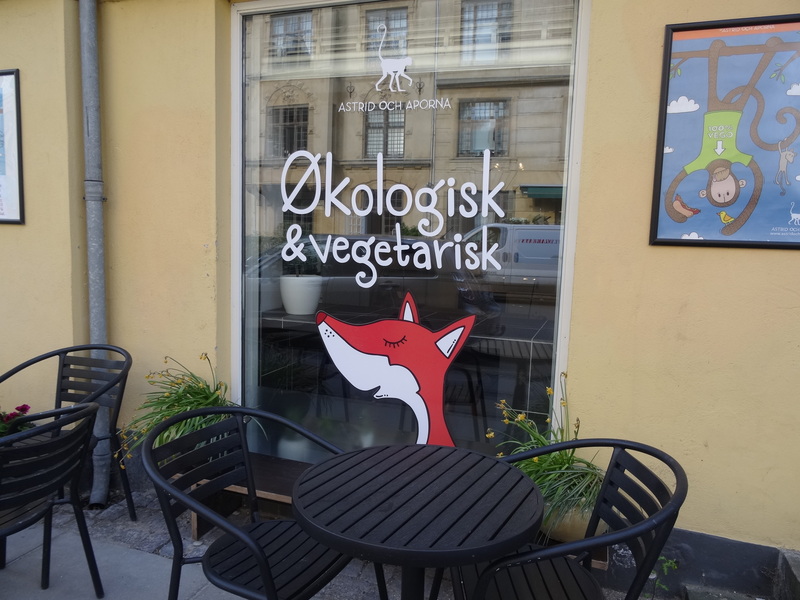 They also have a cafe, Raw and Rustic, in the Fredriksberg one, which serves lovely gluten free food. 3 Meny (formerly Superbest) – this supermarket offers the best selection of gluten-free foods I have seen in a supermarket here. You can read (with a translator tool if you can’t read Danish) about their approach to gluten-free foods here. 4 Other supermarkets – including Irma, Kvickly, Føtex – most of the other supermarkets offer a small selection of the usual gluten-free items above. But particular mention to Føtex that sells pizza base mixes, soy sauce and one gluten-free beer. Kvickly has a couple of gluten-free pizzas in their freezer section. You will normally find all the gluten-free food in a dedicated section. Schär seems to be the main brand carried in supermarkets here. 5 On line grocers – Nemlig.com and Irma.dk – on-line groceries are quite a new concept to Copenhagen. One of the biggest is Nemlig.com sells a basic range of gluten-free food but interestingly have a number of gluten-free recipes in their recipe section including a cauliflower pizza. Irma.dk is the best online grocers for gluten-free food with all the usual suspects but also sausages/hot dogs, a couple of frozen ready meals, fish frikadeller, and leverpostej (Liver pate). You can also (for a higher delivery cost) order some gluten-free foods from The British Corner Shop online shop. 6 Health food shops – there are a number of health food shops dotted around the city that sell small selections of gluten-free foods and you may find a place that sells a hard to find product amongst them. But again this is where the internet is your friend. Naturoghelse.dk offers a massive selection of gluten-free foods and some I hadn’t seen elsewhere or infrequently including baking powder and bicarbonate of soda, vitamin tablets, tinned soups, curry pastes, falafel mix, stock and sweet chilli sauce. I was pleased to find all the products my friend mentioned available somewhere in Copenhagen or online but sadly one thing my friend mentioned she wished she could get gluten-free was tortilla wraps and they still seem to be elusive here. Do you eat gluten-free and have any recommendations in Copenhagen to add? Please leave a comment below.